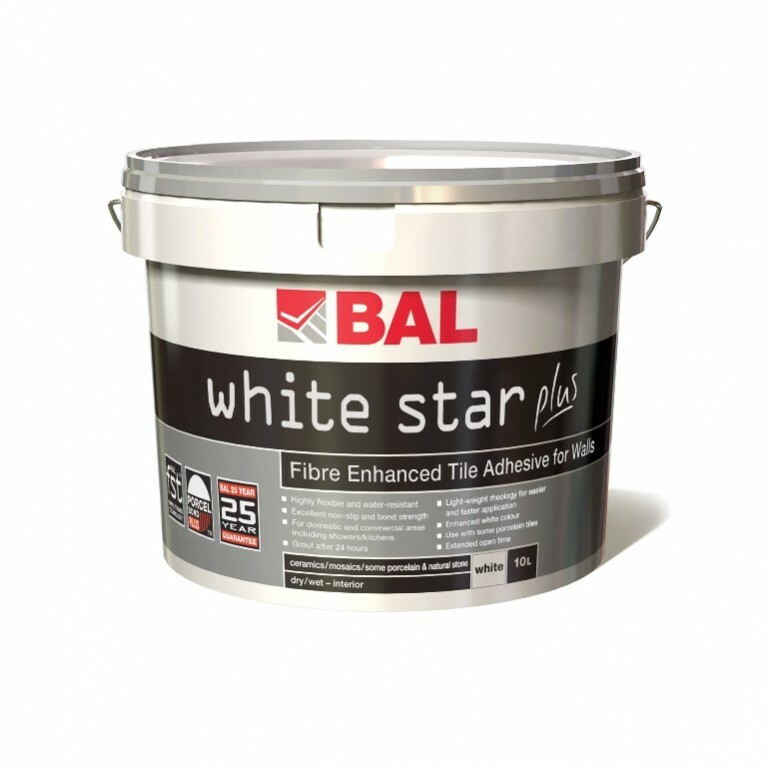 A classic tile grout, BAL Grout is water and frost resistant and can be used for joint widths up to 3mm. 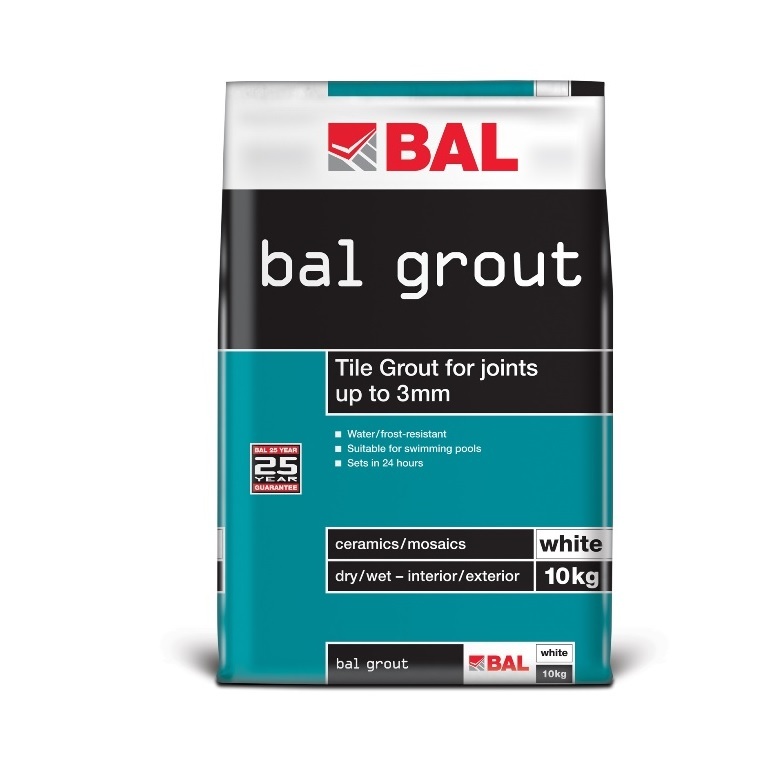 Suitable for grouting ceramics and mosiacs in dry or wet interior and exterior environments, BAL Grout is receommended for swimming pools. 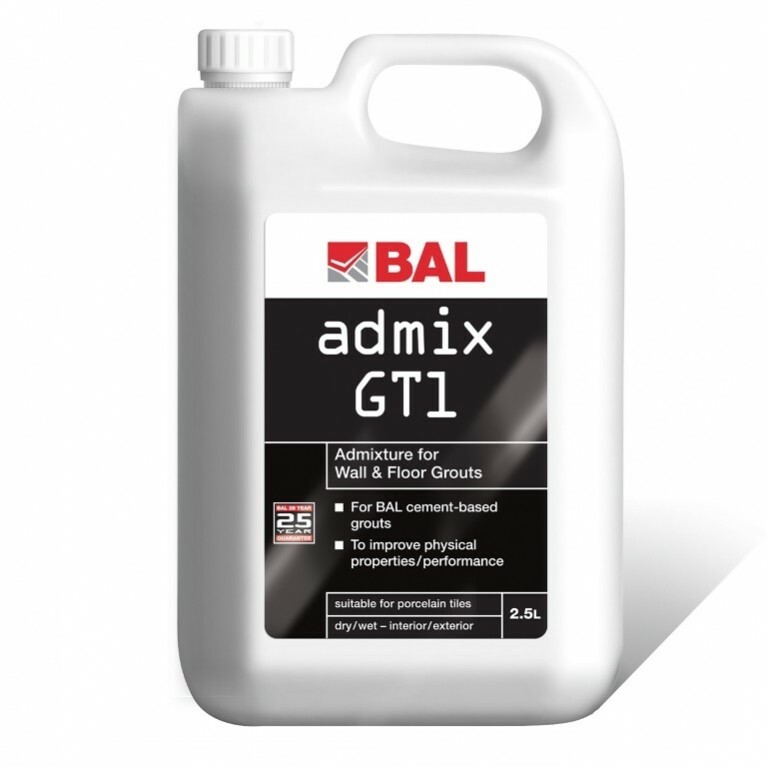 Further applications are possible by adding BAL Admix GT1 to provide flexibility, increased adhesion and high bond strength. Available in white, ivory and grey. 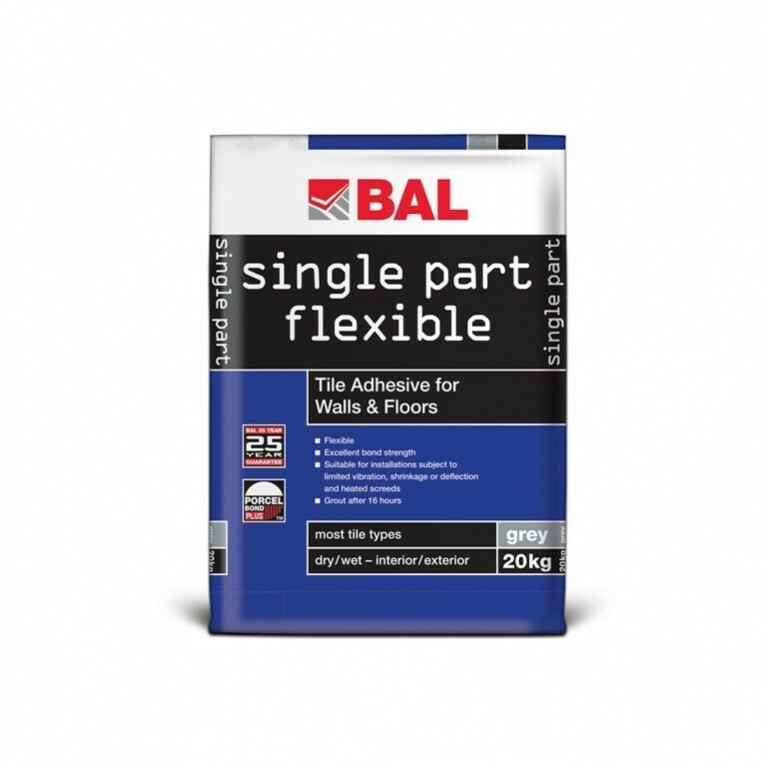 Specifiy BAL Grout for commercial and domestic tiling projects where cost savings are essential. 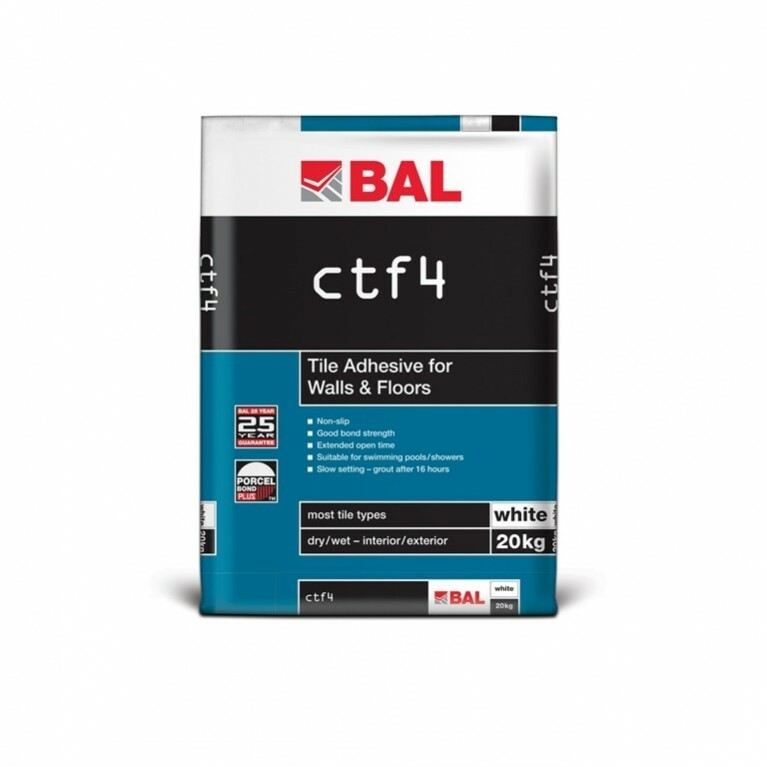 Curing in 24 hours, it is suitable for use with ceramics and mosiacs, and provides excellent coverage.While not suitable for food preparation areas, power showers and areas requiring waterproof grouting, BAL Grout is suitable for large scale projects including swimming pools, and areas of movement/vibration and heavilyuy trafficked floors when used with BAL Admix GT1.